 Uptown Eyes opened their doors in September 2012 after noticing patients in the Gig Harbor and surrounding areas did not have the same unique eyewear options that can be found in larger cities. Their goal as an upscale optical boutique is to educate patients while providing the latest in technology and frames that are fun and exciting to wear. Donna Jones, the owner of Uptown Eyes wanted to make a place that created a fun memorable experience with exceptional customer service. Her goal is a comfortable, non-sterile feeling environment, bringing amazing style and unparalleled quality in frames and lenses to Gig Harbor and the surrounding area. Donna has worked in business all of her adult life. In 1983, while working in banking, she married her best friend and high school sweetheart, Bob Jones. In 2000 Donna was asked to apply her business skills to the Optometry field, and she has been successfully managing optometry offices ever since. The couple have three children, Brandon, Christian and Kaylie. She loves spending time with her family and working with Bob on their gardens. Christain has been learning about the Optometry field since 2011, and recently launched his own frame line, Pull Optics, which features unique, flattering and eye-catching colors and styles. Our fantastic team here at Uptown Eyes are experts in frames, lenses and patient care. We are excited to provide you with an unforgettable experience filled with fashion, fun and facts that will make you look and feel great!